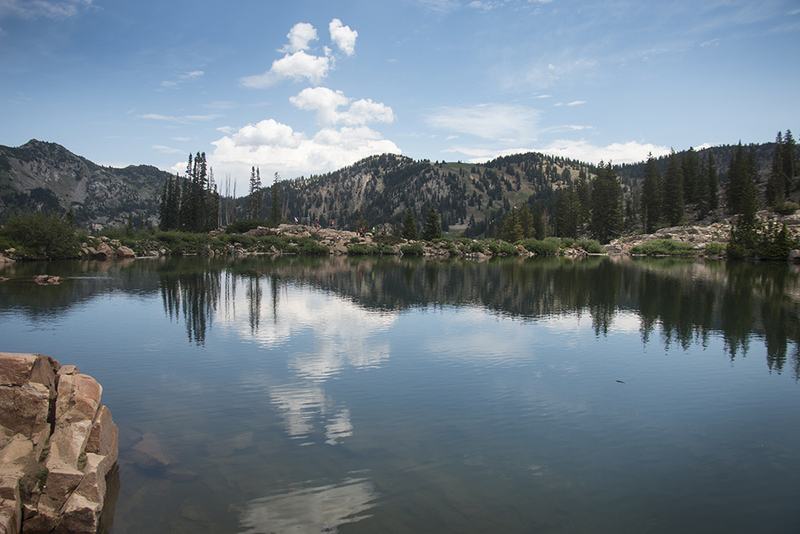 Cecret Lake is a beautiful alpine lake high in the Wasatch Mountains that offers beautiful views of the Albion Basin and Little Cottonwood Canyon. 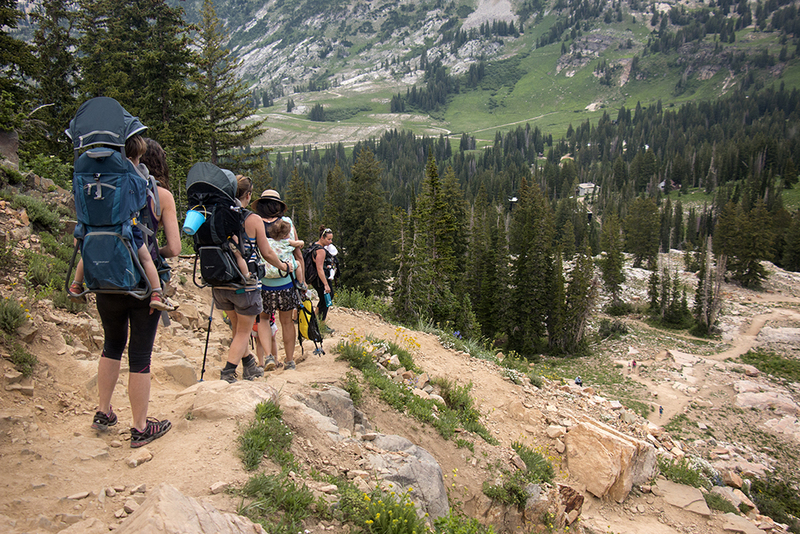 Because it sits at approximately 9800 ft above sea level, it’s only accessible to hikers for about two months in the summer once the town of Alta opens the gate to allow cars to get to the trailhead. 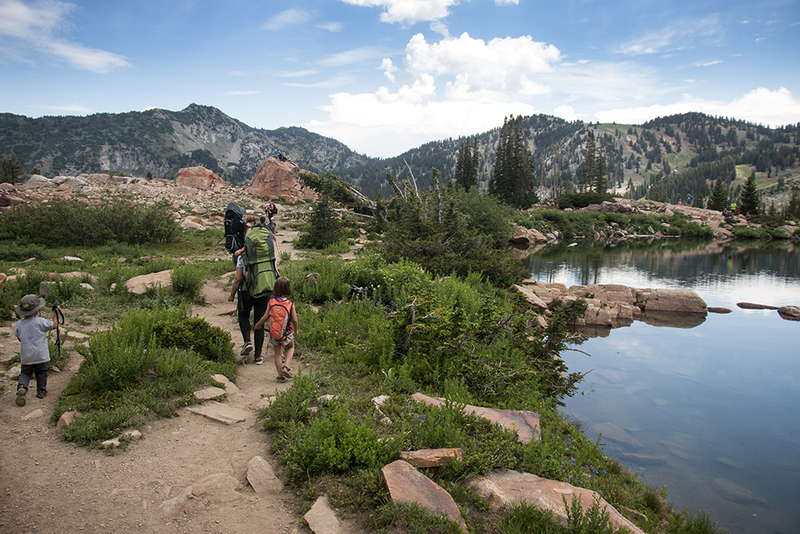 Once there, the hike is less than 1 mile to the lake. It meanders through big fields of wildflowers, under ski lifts, and over a couple of shallow creeks, all with towering Devil’s Castle in the distance. 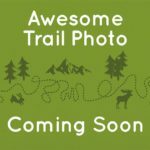 We’ve seen moose on this trail more than a few times too. 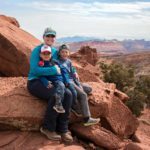 Almost all hiking websites rate this as an easy hike, which it is, but many don’t take the elevation into account. If you aren’t acclimated to being at well over 9000 ft above sea level, take it easy, especially right at the end of the hike where there are some rocky switchbacks. Otherwise, it’s not a technically challenging hike and it’s only 1.5 miles roundtrip. Once you get to the top of the switchbacks, the lake is right there! You can walk around most of the lake and have your kids look for salamanders. 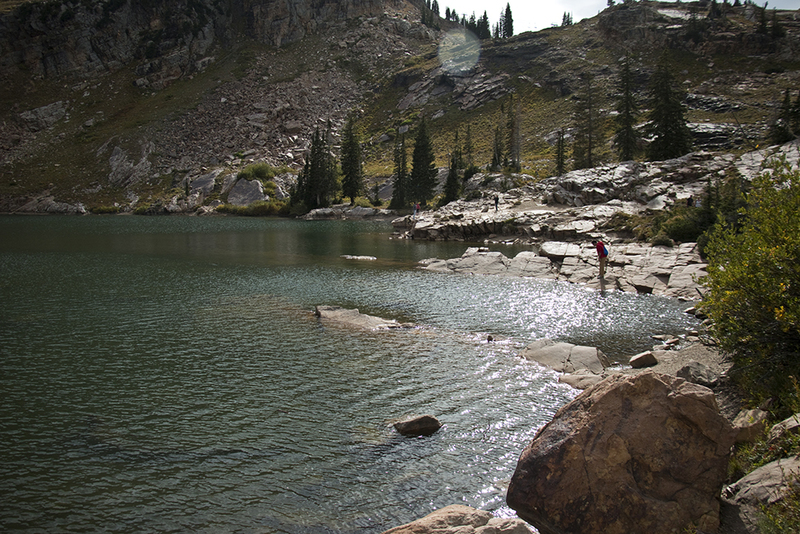 Because the Albion Basin is a watershed area, there is no swimming or wading in the water. Also, dogs are not allowed in all of Little Cottonwood Canyon. There is a vault toilet somewhat close to the trailhead, but please remember to pack out all of your trash, including dirty diapers. The lake itself is small but beautiful, especially on the far side when the lake reflects the sky and mountains. 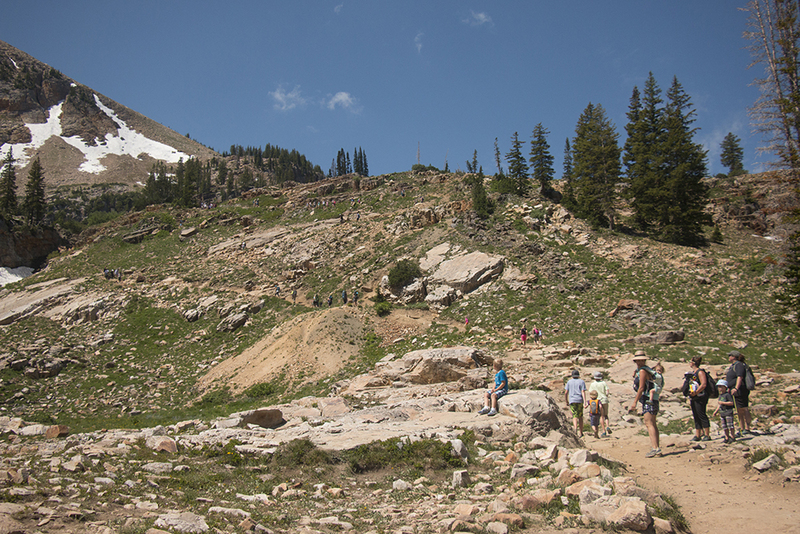 Panoramic views of the Albion Basin. 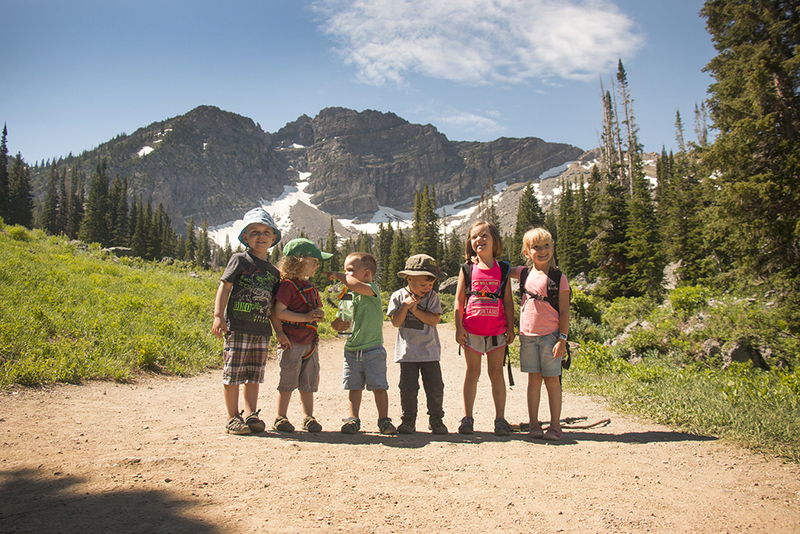 The Albion Basin is famous for wildflowers from about mid July thru the beginning of August. We’ve seen moose on this trail multiple times along with deer, chipmunks, and an animal we think is a groundhog. The very last section of the trail is rocky with switchbacks. 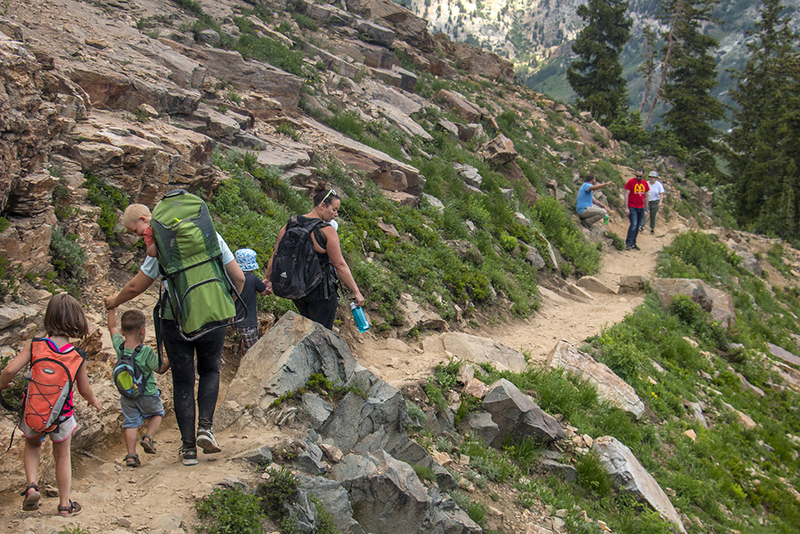 It can sometimes be a little slippery for young hikers. 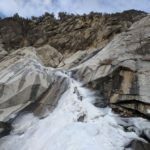 As of summer 2018, it now costs $6 to drive your car onto the summer road to get to the Albion Basin (there are a few trailheads there). If there is no available parking, they won’t let you in. To account for this, the Alta Ski Resort will run the Sunnyside ski lift on weekends and holidays which will drop you close to the trailhead for Cecret Lake. The lift is $10 for adults and $6 for kids.